Why I Will Never Let Heroin Win! 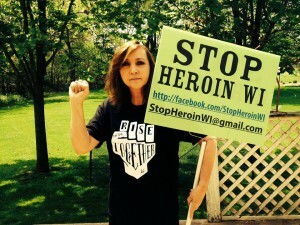 I won’t let heroin win! My name is Linda Lenz. Today is two years since I last saw my son alive. When he was alive he was magic. Beautiful like a shooting star. Full of emotion. Public television kind of intelligent. Artistic. Funnier than anyone I have ever met. I mean smart funny. He was strong and brave yet soft and loving – to everyone. Especially to his brother and to us, his mom and dad. What have I learned since losing Tony is so huge. Let me tell you so it can help you on your journey. Take from it what you want. Leave what you don’t want. Know that all of it is my truth and from the heart. 1. You love and protect your kids when they are alive. You fight like a tiger to protect their memory when they are gone. The worst part about being a grieving parent for me is that I feel as though I have to explain that Tony was more than a person addicted to opiates/heroin. I have to defend him. I have no problem telling anyone how my son died. I will shout it to anyone so they see what a huge epidemic it is in our country. What I hate as much as heroin is having to explain to a complete stranger that my son was a good boy. A wonderful human being. I am done doing this. If you haven’t been touched by this epidemic – bigger than measles, the flu, ebola on this planet – then I am sorry to tell you – you probably will be touched by it. Pandora’s box has been opened. It is pure evil and coming for us all. Our only salvation is to come together and fight for prevention and education – that’s first and foremost. Then treatment and resources for those who cannot help themselves. And, resources for families who are impacted. This alone will turn the tide. 2. Why in the world would my son stick a needle in his arm?!? This is the question that made me seek out every resource in the world so I could learn about heroin addiction. I learned that nearly 95% of the people I have connected with – first became opiate addicts by using prescription pain pills. They are opiates. They work the same way on the brain as heroin. They can make you an opiate addict even if properly prescribed for your pain. When my son was alive – I had no idea. I thought he made such bad decisions that he chose to shoot heroin. I was wrong. He took a risk as teens do. He thought a prescription pill was not all that dangerous. He had his wisdom teeth out and I let him have the whole prescription because I thought it was a lesson in growing up. I was wrong. And my son did make a bad decision, but it was not to shoot heroin. It was disguised as a prescription. Something safe. Something the other kids were doing. If you or anyone you know has these pills in your home – they must be under lock and key. They are worse than a loaded gun. And, if you are prescribed these pills make sure you understand the ramifications. My older son, Canton, died in 2010 from a rare genetic disorder – Ehlers-Danlos Syndrome Vascular. Near the end of his life, he was prescribed the pills for pain. He needed them. But, it still made his body addicted. Fragile and weak, my son Canton was treated like an addict the last weeks of his life because he had been prescribed huge amounts of narcotics for his pain. Yet, even in the facility who was prescribing his pills – included people who judged his pain on a daily basis. They always questioned his need for the medication. You can be dying and you are judged based on this epidemic. But, the epidemic itself is not addressed. If you need these drugs – just go in with eyes wide open. You must think about the possibility of having to live without them and weigh that against the chronic pain. I know this because I saw both of my son’s suffer due to opiates. The problem is that physicians on a whole, have not been trained properly in prescribing the drugs. If you tell your prescribing doctor you think you are addicted to opiate pills – they may likely take you off with no help for the addiction. This turns a soccer mom into a heroin addict. It isn’t just a Dr. Oz segment. It is real and these are real families that are being torn apart. 3. Don’t tell me this is not a disease! Seriously. I will have to wrestle you to the floor. As a parent, at first I grappled with the notion that a disease is something else. Not something you chose to ingest. (Although cigarettes cause cancer, too much food causes diabetes etc.) Hmmm. Finally I watched this amazing video that I now ask anyone involved in rehabilitation, law enforcement, the court system to take just five minutes to watch. “Heroin at Home” explains what this drug does to the brain. Why it is different. Please take a few minutes to watch and share this video at the end of my entry. 4. So, I lost two children. I still had a choice. I could let the evil or pain of how they died be primary and a force that would take over my life. That would diminish their spirits in the universe. Their souls. It would be a travesty to the amazing lives that they shared on this planet and all the love and amazing moments we shared as a family for me to give up. What do you do when you lose your family? When we found out about our son Canton’s condition and that he could leave us at any minute – we worked tirelessly to pay off our house. The reason? I told my husband if I lose that child – I will never, ever get out of bed again. But what took Canton, Vascular Ehlers-Danlos Syndrome, did not keep me in bed. I got up. For Canton. I shared what I knew to save someone else’s child. I had a choice. I needed to do what was in my control. Educate others. Carry on as my son would have wanted me to. After the fifth ring I handed my friend Annie her baby Skylar and so I could look at my phone. It was my husband Rick. Five calls had been missed. My heart sank. I answered. “It’s Tony,” he said. God, oh God, I knew. But I asked him, “What happened? He’s in the hospital? What hospital.” Rick hesitated. He was on the phone with me and at the same time he was running through the mall yelling my name trying to find me. “He’s not in the hospital,” Rick said. “What tell me, tell me!! !” I demanded. “Where are you?” Rick asked. “Is he OK?” I screamed. “No.” Rick answered. Again my life changed. Our lives had changed. 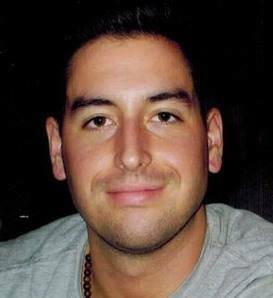 If you hear anything that I am saying in memory of my Tony, please hear this – Heroin will not win! That is how it is. We are all alive. We can’t and I won’t let it win. If you are in recovery, if you have an addicted child or spouse or loved one…Do not give up hope. Not ever. We have a power – together. Do not stop talking about it and telling everyone you know what is going on. Because if you do this… even once …Heroin wins. Do not let it win. I will never let it win. Not as long as I am breathing. I will yell about it. I will protest about it. I will argue with those who remain ignorant. And Heroin will Never, Ever, Ever win! I mean NEVER and that’s my gift to my son on this day. Tony – I will never let it win. I promise. I love you Tony. Are you with me? Share this post if you are! Below is a beautiful song…please listen!